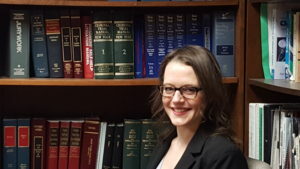 HLAS welcomes a new Law Associate to our Appeals Program, Brittney Clark. She is from North Carolina and attended Gardner-Webb University, graduating in 2014, and Syracuse University College of Law, graduating in May 2017. She is currently awaiting admission to the New York State Bar. She came to HLAS because of its relationship with the local Syracuse community, and its mission to provide advocacy for those who are marginalized and underserved.